With rising prescription drug costs considered the nation’s fastest-growing component of health care, pressure has been mounting on pharmacy beneft managers (PBMs) to help Corporate America rein in such spending. But at a time when transparency has never been more important across the self-insured community and beyond, a struggle over stewardship is brewing. 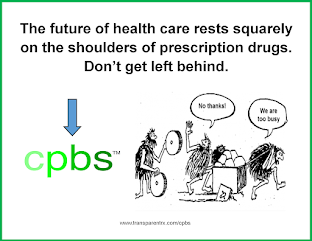 Gary C. Becker, CEO of ScriptSourcing, estimates that less than 2% of the nation’s roughly 300 PBMs operate without conficts of interest. 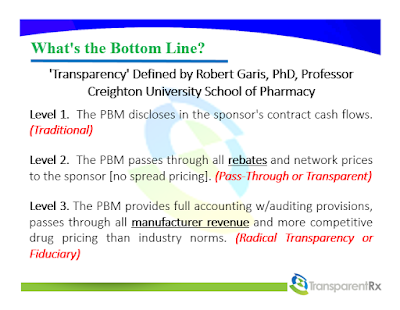 In contrast to a traditional PBM, he says all manufacturer revenue in a “fduciary” PBM contract belongs to the employer – adding “there will be no spread pricing.” Leaders in this nascent feld of expertise include US-Rx CARE, TransparentRx and OrchestraRx, among others. These market disruptors could help bend the Rx cost curve in ways that self-insured employers never imagined, crow proponents of this model. Becker says it’s analogous to scores of employers transitioning from retail to institutional pricing for their 401(k) investment fees. His point is that employers have an opportunity to mirror these cost savings by working with a fduciary PBM. However, employers shouldn’t expect this new way of managing prescription drugs is necessarily a silver bullet. Keith McNeil, co-founder of United Benefts Advisor partner frm Arrow Benefts Group, much prefers the fduciary PBM model, though cautioning it doesn’t automatically mean that such programs save money. Because most purchasers of PBM services are unable to uncover all the hidden cash flows baked into a non-fiduciary PBM arrangement, Keith's statement is a very dangerous one to make. DIR fees, while indirect, are hidden cash flows very few plan sponsors take into consideration, for example. 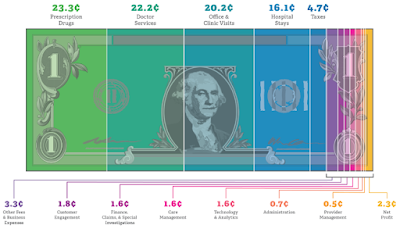 Another example, clawbacks, like DIR fees, lead to patients overpaying at the point-of-service with the non-fiduciary PBM pocketing the difference. How many purchasers are truly factoring in these hidden cash flows when forecasting final plan cost? My final point; when conducting a side-by-side claims analysis it is a disservice to plan sponsors for brokers and consultants to determine "best price" with only the claims data before them. Instead brokers and consultants must view the data holistically and ask, "WHAT SHOULD THE FINAL PLAN COST FOR THIS GROUP HAVE BEEN?" A claims analysis or re-pricing looks primarily at historical price which is just one driver of pharmacy costs. It doesn't always take into account poor product mix or bad utilization from which non-fiduciary PBMs intentionally profit. For the record, a fiduciary-model PBM is prohibited from profiting from poor utilization or product mix. In fact, punitive damages kick in if a fiduciary PBM does profit from these drivers. Hence, the reason most (99%) PBMs don't accept full fiduciary responsibility and those who claim to offer a fiduciary standard provide only a modified version. Three drivers of pharmacy costs (utilization, product mix and cost share) contribute mightily to wasteful Rx spending, yet are oft-over looked when comparing PBM proposals. I wonder if Keith considered these drivers of pharmacy cost before saying, "a fiduciary-model PBM doesn't necessarily deliver a better price?" I don't know but I will ask him. The trouble with traditional PBM contracts is that they abdicate any fduciary responsibility, according to Becker, whose frm helps self-funded employers mitigate prescription drug claims. “Who would ever hire someone to mitigate prescription spend who is not going to act in their clients’ best interests?” he asks rhetorically.